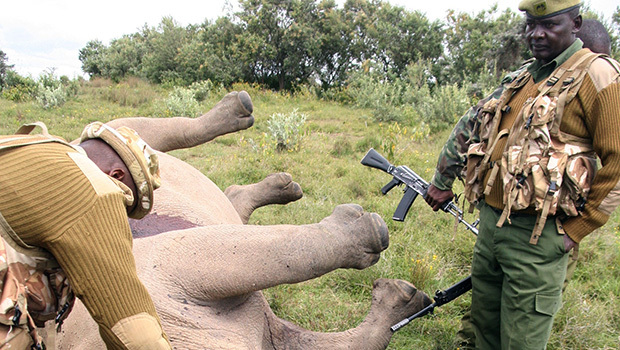 One of the ways Fight for Rhinos and Helping Rhinos has assisted rhinos in 2014 was through Vision Africa Wildlife. 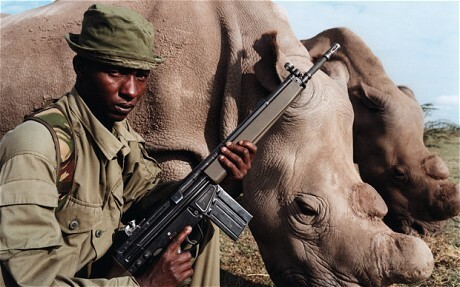 What makes Vision Africa unique is the way they utilize the community in order to save wildlife, our rhinos included. They find solutions to animal/human conflict and put self-sustaining projects in place within the community; changing minds and creating safe environments for wildlife, while still caring for the needs of local farmers and people in those area. 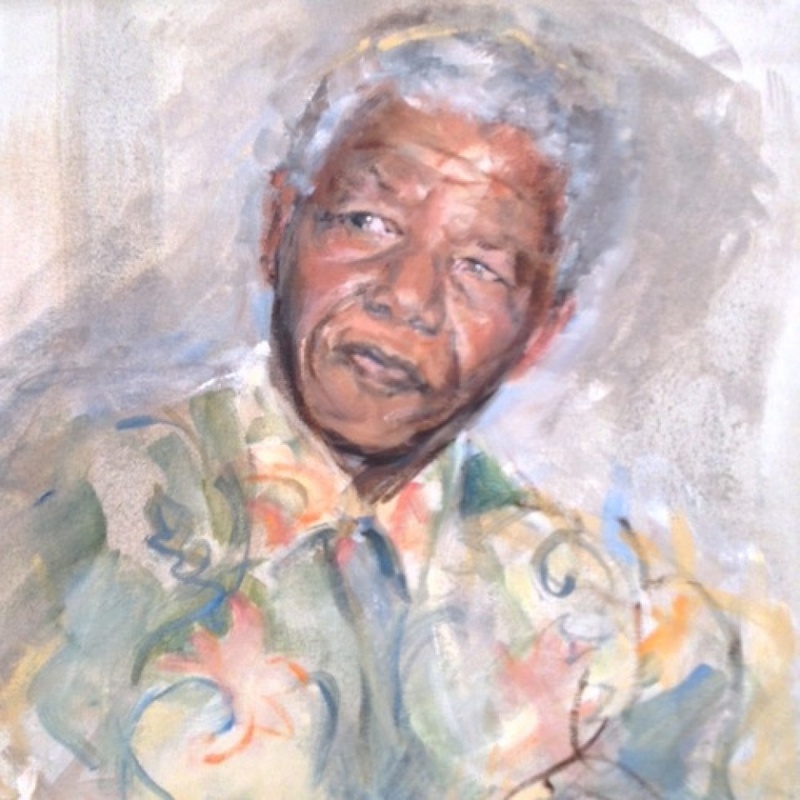 They currently focus on five projects, one of which focuses a poaching deterrent for rhinos. 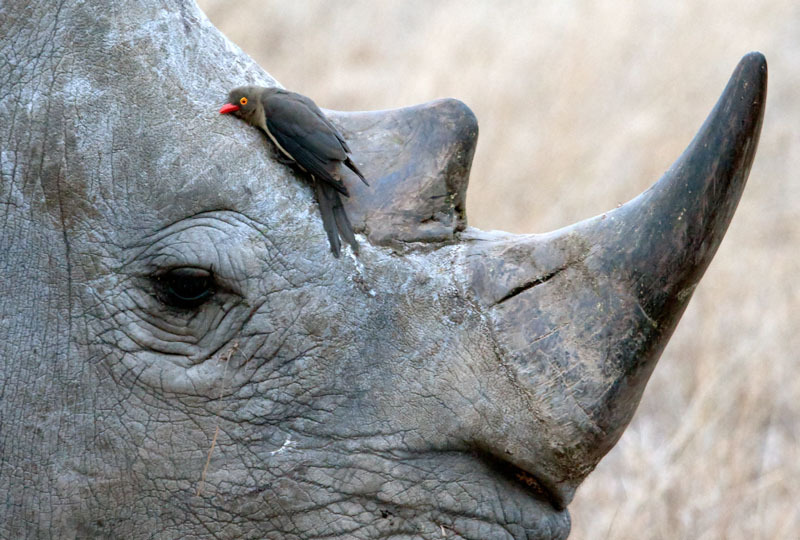 In a new and advanced system, the rhino are constantly tracked and monitored on the reserve. This technology is making a real difference. Volunteers assist in their efforts and also experience wildlife conservation from “behind the scenes” as part of the reserve management. 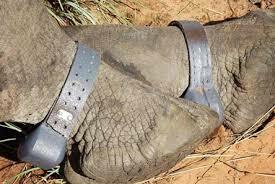 Similar rhino tracking equipment in Zimbabwe. 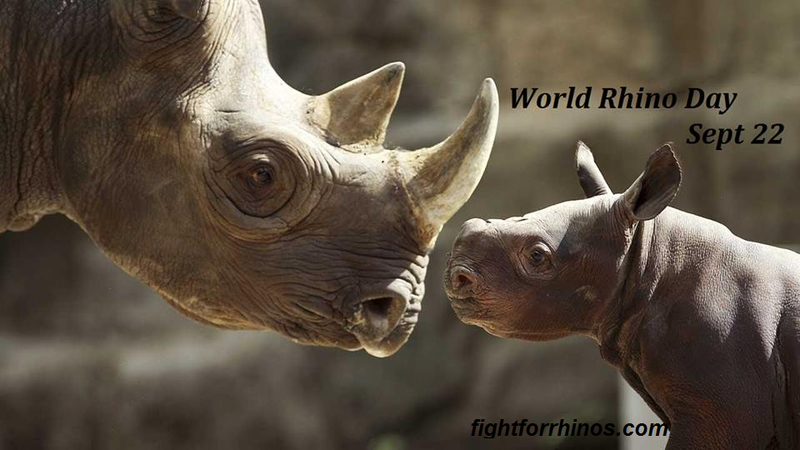 Photo via International Rhino Foundation. Thanks to your donations, we have been able to provide the funding to secure the last piece of software required to complete the development of this technology. Our grant of $2650 will help protect rhinos on the Vision Africa reserve, as well as neighboring farms. In addition we were able to give a further $2730 to purchase the necessary body armour for their tracking dog. The monitoring technology in combination with the trained tracking dog will keep rhinos much safer than they were 12 months ago. 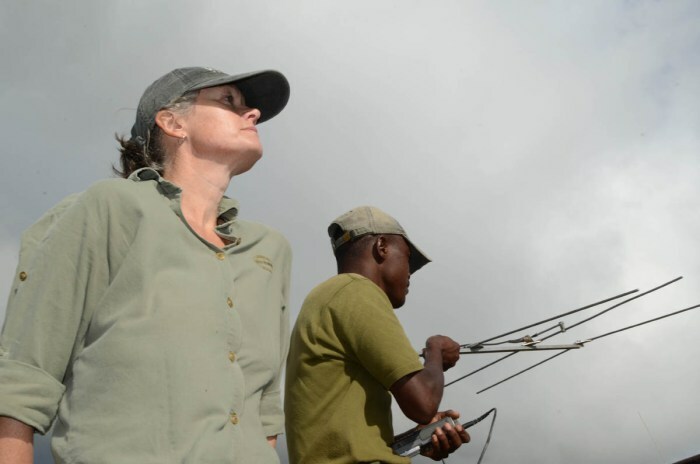 We are very happy to have been able to provide the funding needed for Vision Africa Wildlife to secure the last piece of software they require to complete the development of their rhino tracking product. Our grant of £1,700 will help to protect rhinos on the Vision Africa reserves and also their neighbouring farms. We are also very happy to have provided Vision Africa with a further £1,750 to purchase the required body armour for their tracking dog. The software being implemented (above) in conjunction with the abilities of a highly trained tracking dog, who is now much better protected from the threat of running into the poachers, will we believe make the rhinos in the area where Vision Africa operate much better protected than they were just 12 months ago. November also saw us provide sponsorship to Reserve Protection Agency in support of their Technology Demonstrations in South Africa. 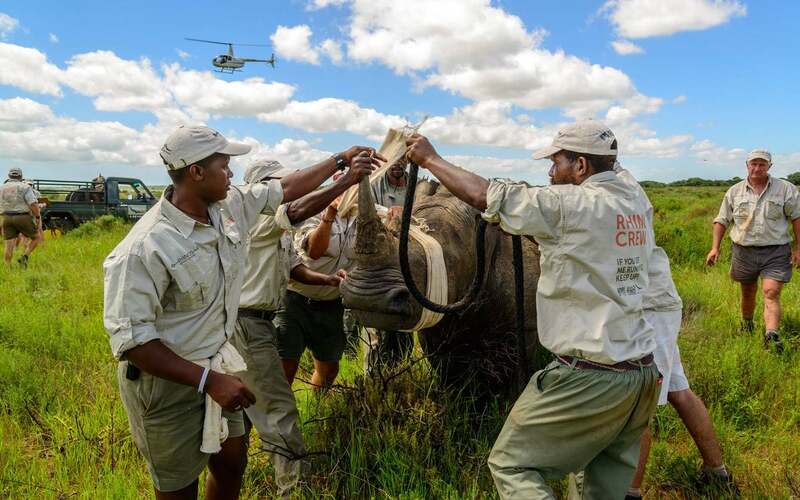 The demonstrations will be supported by the Department of Environmental Affairs, SANParks, a number of private rhino owners and will help validate the merits of new technology which can be rolled out into both national parks and private reserves alike. Stay tuned for more information as when it is available. In total Helping Rhinos have provided £5,000 for these key initiatives that will help improve the safety of many different rhino populations. In addition, we provided a further £2,500 to Reserve Protection Agency as co sponsors of their latest J8 Jeep. Along with the other sponsor, Jankel, we are really pleased to have been able to help bring this military spec jeep into South Africa where it will be located at a number of different reserves in support of their anti-poaching work, including Kruger National Park. This quarter also saw Helping Rhinos continue their support of Game Reserves United as we provided £2,500 to allow them to purchase some key software. This software will allow far more effective collaboration of the private reserves that make up GRU and the world famous Kruger National Park. It is key for us at Helping Rhinos to provide essential support to the rhino populations of the Greater Kruger Park. In addition, we provided £1,500 to GRU member Balule for the purchase of a quad bike to help assist with key anti-poaching activities such as fence checking. It will also allow rangers to move around the reserve in a much more effecient manner, meaning they cover much more ground on a daily basis in their work to prevent poaching. 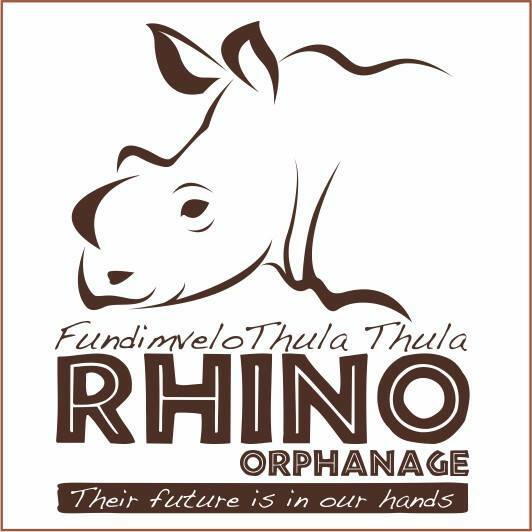 We also welcomed a new partner to our books this quarter – the Thula Thula Rhino Orphanage, based in KwaZulu-Natal. The Thula Thula Rhino Orphanage hope to open before the end of 2014, and our donation of £3,000 will allow the management team to purchase the required veterinary and nursing equipment they need before they can bring in their first rhino orphan. 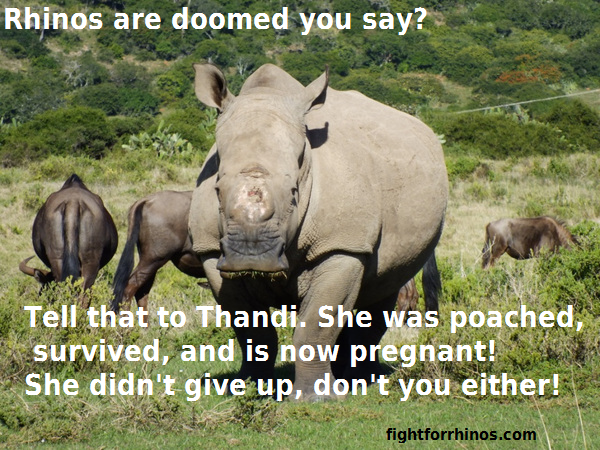 Stay tuned for more information on the Thula Thula Rhino Orphanage. 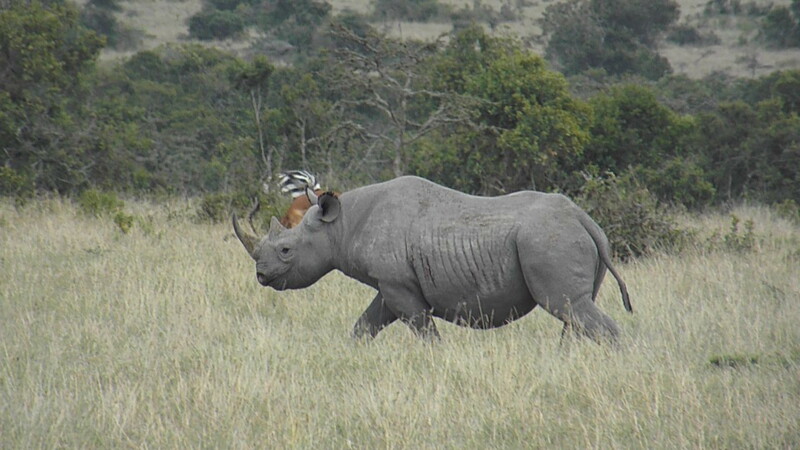 Of course, we continue with our adoption scheme of the northern white rhinosbased at Ol Pejeta Conservancy in Kenya. Your support of our adoption scheme resulted is us sending funds totalling £1,075. The funding raised through our adoption scheme will help maintain a safe and natural habitat for the rhinos at Ol Pejeta. See our Adoption page to see how you can help us provide even more funding to Ol Pejeta. Thank you for your continued support! YOU make this happen! 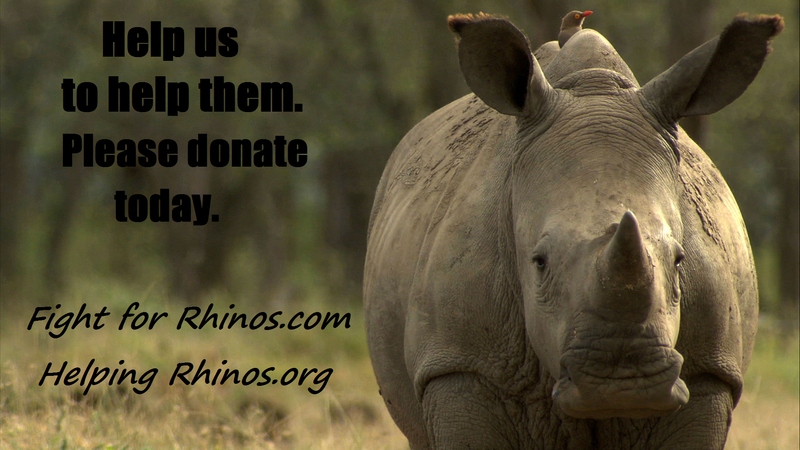 Please consider making a donation to help us continue our work in saving rhinos. 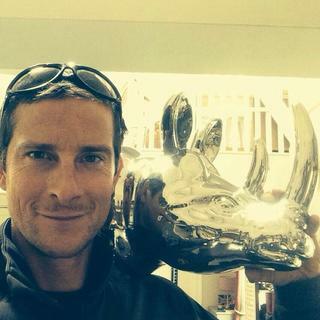 We are delighted to welcome Bear Grylls to the Helping Rhinos Team as our newest Patron. 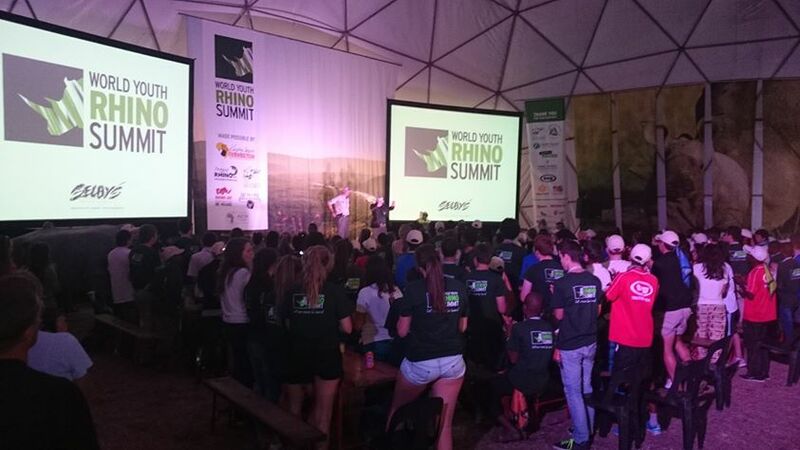 “Helping Rhinos is a dynamic young organisation that I feel so proud to be Patron of. The small team at the UK registered charity are working incredibly hard to raise international awareness and funds to help stop the shocking poaching crisis we find ourselves in. 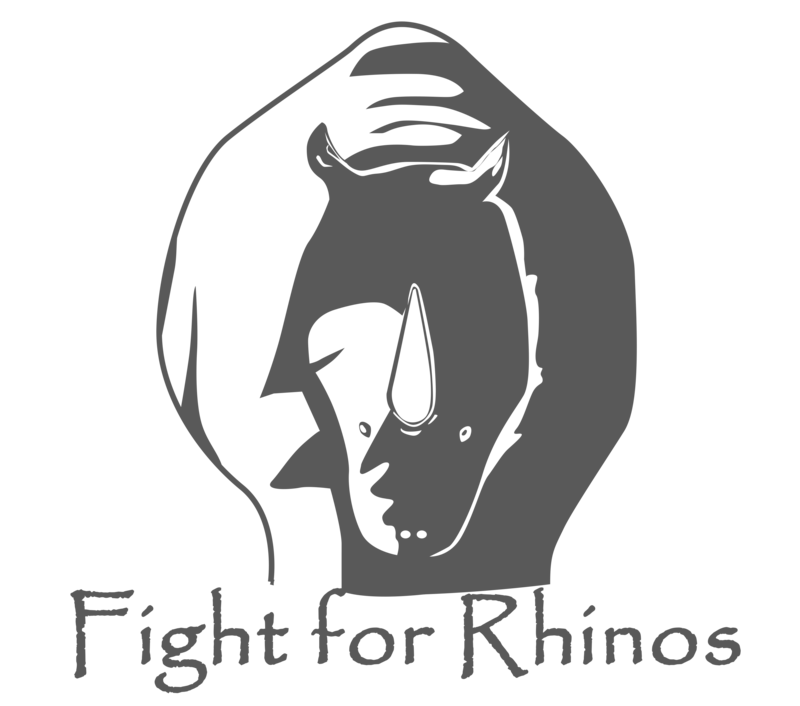 In order to achieve this Helping Rhinos work with a number of different organisations around the world to both protect the rhinos and to stop the demand for rhino horn. With Bear on board we are sure we can continue with our aims of helping to bring the rhino poaching crisis to an end and look forward to enjoying rhinos in their natural habitat for generations to come. 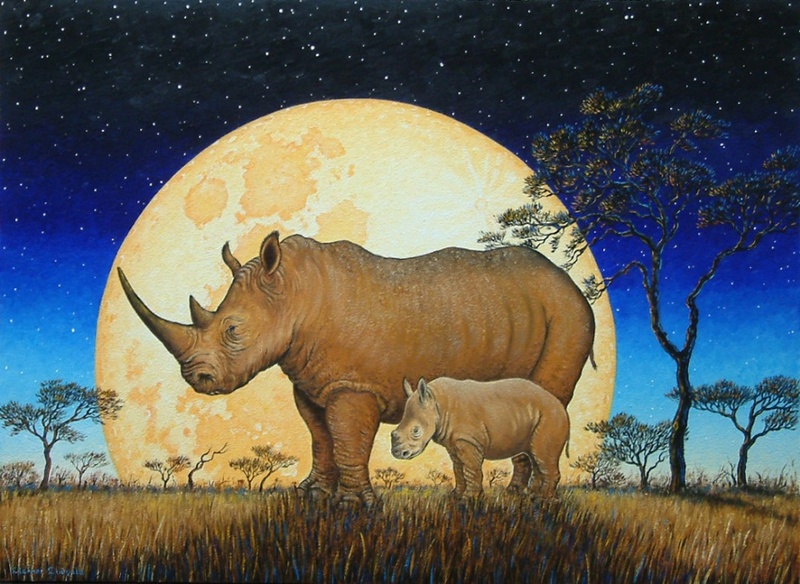 Please help Helping Rhinos and Fight for Rhinos to make this a safe world for rhinos again. Your donations are crucial to success. 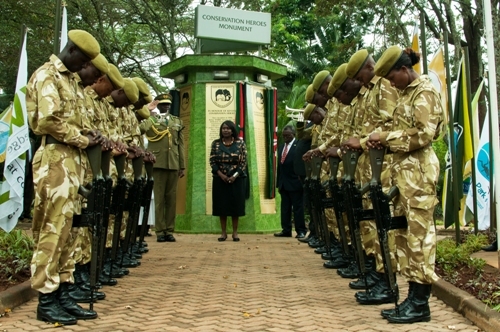 What’s special about Ol Pejeta? Besides the fact they are East Africa’s largest black rhino sanctuary, they are also home to the only 4 remaining northern white rhinos in the world. 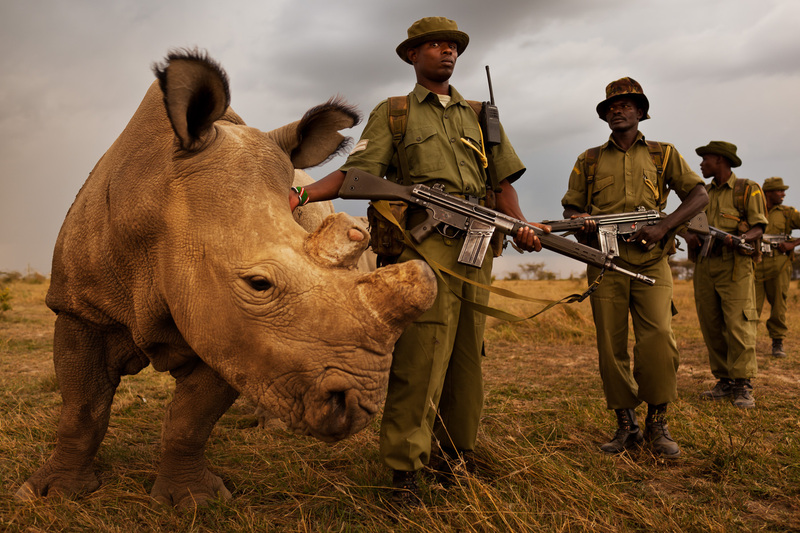 The remaining Northern White Rhinos are under constant armed guards. Covering more than 350 square kilometres in Kenya, Ol Pejeta is home to many animals. The conservancy plays a vital role in the conservation of a number of other endangered species, including: Grevy’s zebra, lions, cheetahs, leopards, African hunting dogs, and elephants, as well. Through Helping Rhinos and Fight for Rhinos, your donations will help maintain a safe and natural habitat for the rhinos of Ol Pejeta. 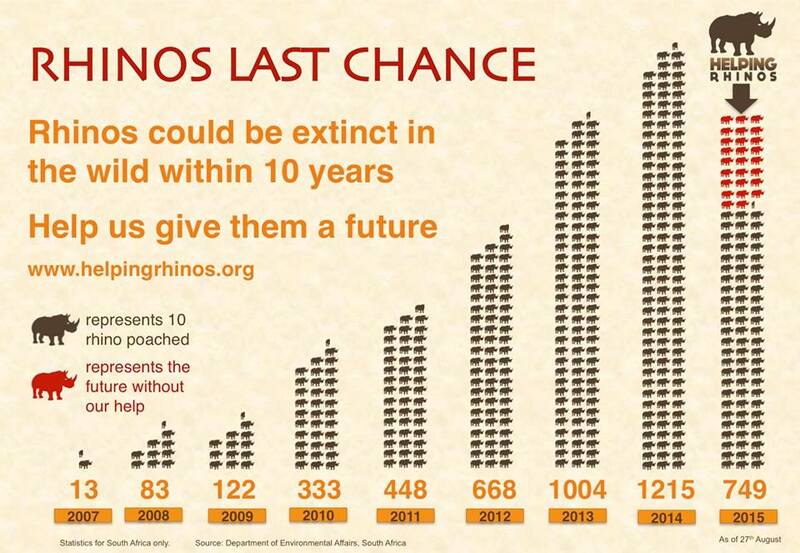 By working together we can stop rhino poaching and make sure that we save the rhino for future generations to enjoy. Please go to the DONATE button on the left of the page or see banking details in How We Help at the top of the page. Every little bit is helpful.